I found your work on the internet and read some articles about you and liked it quite a lot. My name is Ann-Sophie and I am from Germany. I am doing research on Urban Art as a means of protest at the moment. I am currently participating in a project called Studienkolleg zu Berlin. Within the framework of this project we work in small teams composed of six students from across Europe on societal questions in Europe. The research topic of my group is Street Art as a form of political protest - the creative conquest of public space? We want to examine the urban art scene in several countries and find out what strives street artists to chose the street as the scenery to express themselves. We are also interested in whether street art permits conclusions about political developments or perhaps even reveals trends and similarities or differences between the different countries. 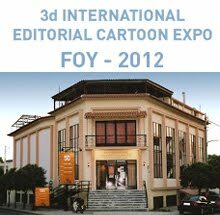 At the end of our investigation we will present our results in form of an exhibition and in a written way as a publication. 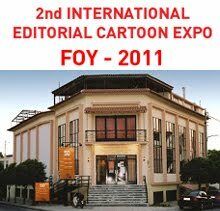 We will be in Athens from March 21 till 26 and would very much like to meet you to get to know more about your work. unfortunately I will disappoint you by refusing your call. Further more... we're expected to act as their "Petri dish"? For what? Safe in-vitro observation? shouldn't neither be tolerated nor encouraged. Plus any "trend"
Characters in comedy and drama in ancient Rome, dear Ann-Sophie, had always been "foreigners"... slaves... teachers... merchants... always foreigners, degrading the "self correction mechanism" of these genres to "self-accommodation"... and it's only by means of narcissism and self accommodation that a society chooses to leave it's "parent/child", "citizen to citizen", "public/private" and "freedom of speech/unsettling concepts" relations and matters to be regulated by the armed hand of police. I deeply wish you a life of freedom of speech rather than a life of seeking it in foreign lands. thank you for your answer, it shows at least that you spent some time on thinking about my request. I dont know if I can still convince you to meet us, I guess not, but I feel the need to answer, since your view on our group seems to me a little black/white. 1.) We are doing this project mainly out of curiosity. We are six young people from Romania, Macedonia, Ukraine, Austria and Germany so actually Germany is the country least represented. But that doesnt matter so much since we are not traveling as ambassdors of our countries or as representatives of government policies, but as individual beings that want to know something about how people deal with dissatisfaction and crisis (and I am not speaking of the euro crisis,but of crisis in the very basic meaning of the word) in an unconventional way. 2.) Doesnt every country maintain something like a graffiti police force or at least a unit which tries to eliminate it? And isnt that also a reason why street artists of however you wanna call people expressing themselves on the streets actually choose the streets to display their thoughts and ideas? Isnt the official chasing of street art what makes the art subversive? Isnt that why you do not go to galeries to exhibit your work? Because that way you simpathize with the people showing their discontent on the streets as well by demonstrating? 3.) We are not subsidized to "learn" about street art or graffiti or sent by any organizers. We chose the topic ourselves out of interest and curiosity. No one controls our "output" or if there is an output at all. All the efforts to organize our trip, places to sleep at (no, we cannot afford a hotel, we couchsurf), bus or hitchhiking opportunities, research about the history and current situations in the countries we travel to and so on are not paid for by anyone, they are only paid in impressions that we can take home and learn from. 4.) We are not seeking anything else in foreign lands than better understanding. We are not going there with pre-maid ideas or schemes, but with an interest in being taught. I really hope that your answer was only inspired by how I formulated my request and not by the simple fact that my nationality on paper is German. Because how much does a nationality actually tell about a person, his/her liffe, ideals, hopes, desires, interest etc.? I am still up for meeting you not to do an "interview", but to get to know you and your opinions. Thank you, again, for your e-mail. I'm sorry that my response didn't meet your expectations. I assure you however that the rejection of your request is far from personal.